Today (3 December) is “Cyber Monday,” the busiest day of the year for UK online retailers who are bracing themselves for up to 115 million visits to their sites. 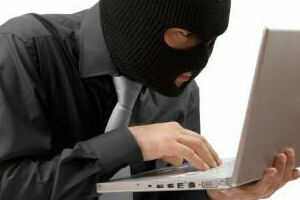 But shoppers surfing the web from the comfort of their homes or offices are being warned to look out fraudsters. Action Fraud and the Police are urging online shoppers in Enderby and around the country to think about security, especially when using unfamiliar websites offering deals that appear too good to be true. 1. Trust your instincts – if an offer looks too good to believe then there is usually a catch. Legitimate popular technology and designer items are rarely discounted. 2. Check the URL in the web browser. Don’t be fooled by spoof websites where the fraudsters slightly change the address. 3. Ensure the website address begins ‘https’ at the payment stage – this indicates a secure payment. 4. Don’t access links in unsolicited emails – always type in the website address or use a search engine to find a site. 5. Only deal with reputable sellers – only use sites you know or ones that have been recommended to you. 6. Avoid paying by money transfers – they aren’t secure. Use an online payment option such as PayPal, which helps to protect you. 7. Watch out for pop-ups appearing asking you to confirm your card details before you are on the payment stage. Never enter your PIN number online. 8. If your bid for an online auction item is unsuccessful, don’t be tempted to trade off-site if another seller approaches you with a similar item. This is likely to be a scam and you won’t be covered. 9. Keep security software and firewalls up-to-date. Regularly update your internet browser when a new patch is released. 10. Keep receipts and check these against your statement – if you spot a transaction you did not authorise speak to your card company immediately. If you are the innocent victim of any type of card fraud you will not suffer any financial loss. To stop the criminals ruining your Christmas be careful when shopping online, always checking the sites legitimacy and make sure it has a secure payment facility. If you or someone you know has been a victim of this type of fraud, report it to Action Fraud so that the incident can be passed on to the police.